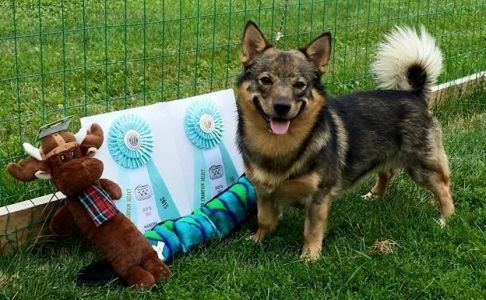 Alice earned another CKC breed championship point at the St. Catharines and District Kennel and Obedience Club show in Welland, Ontario, taking Best of Winners and Best of Opposite under judge Ms. S. Derrick. 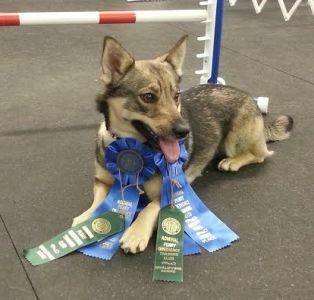 And then she took Best Puppy in Group under the same judge! 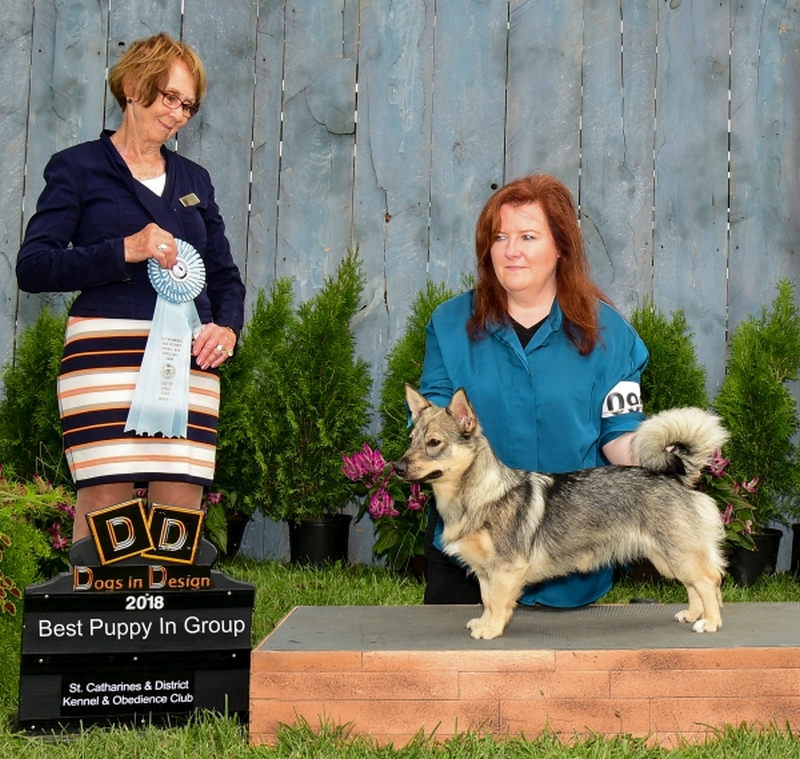 Alice earned her first CKC breed championship points at the K-W Canadian Kennel Club show in Kitchener, Ontario at just 8 months of age. She took Best of Breed under judge Tony Monk, over two specials and two class dogs! Alice is from our C litter and we are very excited about her future! She is learning agility and Barn Hunt, and is as smart as she is pretty! She has an excellent work ethic, tons of sticktuitiveness and working drive, and is wonderfully stable, friendly and outgoing.